^ Electricity consumption by Oregon residents averages 957 kWh per month, which ranks 24th in the nation. The average monthly residential electricity bill in Oregon is $94, which ranks 36th in the U.S. This average monthly residential electricity bill in Oregon is 12.15% less than the national average monthly bill of $107. Residential electricity rates in Oregon average 9.8¢/kWh, which ranks the state 44th in the nation. The average residential electricity rate of 9.8¢/kWh in OR is 17.51% less than the national average residential rate of 11.88¢/kWh. Residential electricity consumption in Oregon averages 957 kWh/month, which ranks 24th in the U.S. This average monthly residential electricity consumption in OR is 5.98% greater than the national average monthly consumption of 903 kWh/month. The average monthly commercial electricity bill in Oregon is $460, which ranks 39th in the nation. This average monthly commercial electricity bill in Oregon is 26.87% less than the national average monthly bill of $629. Commercial electricity rates in Oregon average 8.31¢/kWh, which ranks the state 37th in the nation. The average commercial electricity rate of 8.31¢/kWh in OR is 17.64% less than the national average commercial rate of 10.09¢/kWh. Commercial electricity consumption in Oregon averages 5,539 kWh/month, which ranks 29th in the nation. This average monthly commercial electricity consumption in OR is 11.21% less than the national average consumption of 6,238 kWh/month. The average monthly industrial electricity bill in Oregon is $2,399, which ranks 48th in the nation. This average monthly industrial electricity bill in Oregon is 67.94% less than the national average monthly bill of $7,483. Industrial electricity rates in Oregon average 5.59¢/kWh, which ranks the state 42nd in the nation. The average industrial electricity rate of 5.59¢/kWh in OR is 16.19% less than the national average industrial rate of 6.67¢/kWh. Industrial electricity consumption in Oregon averages 42,933 kWh/month, which ranks 45th in the nation. This average monthly industrial electricity consumption in OR is 61.72% less than the national average consumption of 112,158 kWh/month. 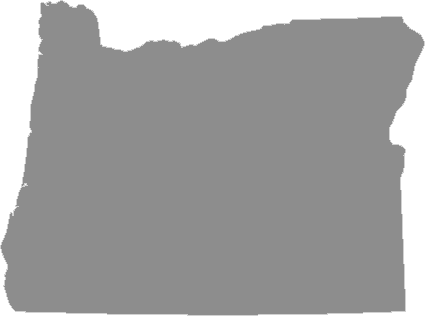 The state of Oregon has a population of approximately 3,831,074, ranking 28th in the nation.